Not looking too good. 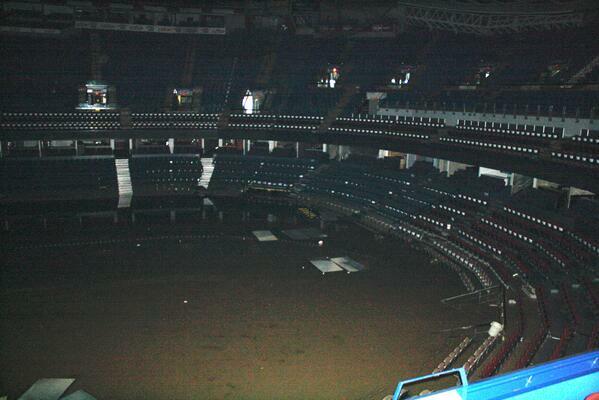 I am sure they will get the arena in working order in time for the 2013-14 season (unless there is significant structural damage) but I suspect they will put in as little cash as possible as a new barn for Calgary will probably be fast tracked now. They might also have to manage without a jumbotron for a while too. That's crazy. I can't believe how effed up that down is from this flood. They will be on cleanup detail for a long time. At least they are an organization that can afford to put some money into soeedy repairs (well, as speedy as it can get there). I can't imagine how much work it will be to restore things there. 4 Months? Really. The flooding at Bridgestone Arena was only 2 inches of standing water at event level so if that is the case then the Flames may be in some real trouble here. Yikes. I would not have been surprised to hear Calgary would take 4 months given how much water is there, but 4 months for 2 inches in Nashville .. wow. I've been wondering, myself, just how long all of this will take them. In all honesty, I was surprised to hear they think they'll be starting the season on time just fine. guess it depends on how much damage is done to the building itself, bridgestone arena had a foot of standing water for a couple of days, and they were able to get some events back on in about 3/4 weeks. 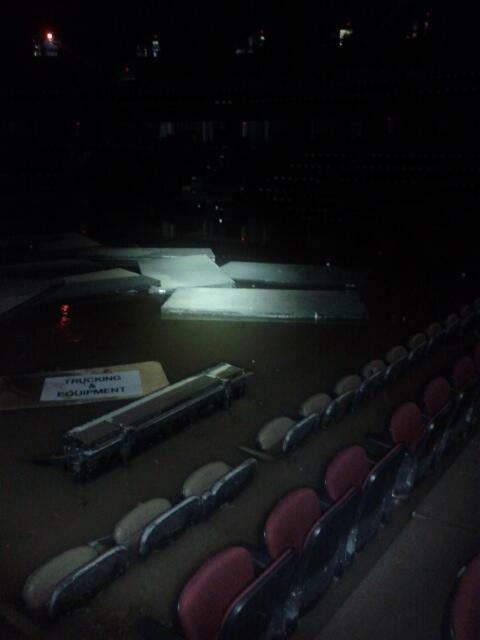 Water began entering Bridgestone Arena on Sunday (May 2). By Monday morning (May 3), there were 1-2 inches of standing water – which rose throughout the day. At that point, staff began relocating equipment from the control room, locker rooms, coaching offices and storage areas to higher locations. Water began to recede on Tuesday (May 4), ebbing back from a high of approximately 1 foot to just 1 inch. 30th Another building permit for Bridgestone Arena has been issued, as crews there continue repair work stemming from May’s flood. can't find a whole lot more the vast majority of information is about the initial flooding.